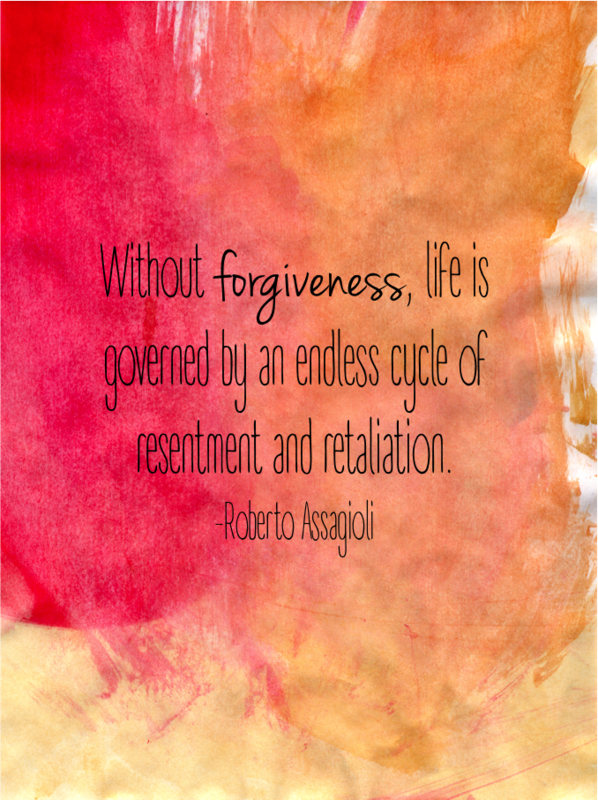 I am sure at one time or another we have all dealt with issues in which we have a hard time forgiving. Forgiveness is not an easy thing to do and if anyone really, truly, knows how to do it….well, you are one hell of a person. When I got home from work today I was bummed about how the day went and my thoughts led me to many unforgiven moments. I have realized, you can forgive, you have to forgive, to move on with your life. There are still so many times when I look back a few years ago, a few weeks ago, and even a few days ago and I am still distraught about the situations. But why? Not being able to forgive keeps me from being happy and I am sure it keeps you from being happy as well. Not only should we try and forgive those who have wronged us or forgive situations that have happened but we should seek forgiveness. I am laying all my cards out there tonight when I fold my hands; I am tired of being stressed, over worked, anxiety stricken, worried, angry, unhappy, and not a very good person (when all of those are combined). I have done things in life that I probably shouldn't have, I have screwed up, I have made mistakes, I am only human…and so are you. If a person is not willing to forgive, then they are choosing to be lost; lost in the world of unhappiness and selfishness. Moving on, I choose to forgive the past and look forward to the future…who's with me? What are some things you do to forgive others? Forgive situations? Seek forgiveness?